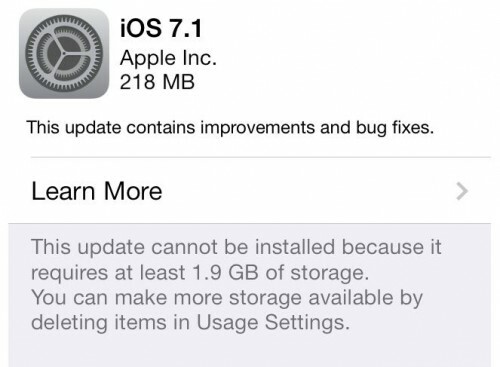 Apple on Monday officially released iOS 7.1. The update contains a number of new features like CarPlay, for instance, serious security improvements as well as Touch ID and Siri enhancements. This update comes nearly 6 months after the original iOS 7 release last fall. According to iDownloadBlog, the new version has a build number 11D169b. It is compatible with iPhone 5s, iPhone 5c, iPhone 5, iPhone 4s, iPhone 4, iPad Air, iPad mini and iPad mini with Retina display, iPad 2, 3, 4 and iPod touch 5G. As you know, Apple last September gave iOS a substantial visual makeover that inadvertently brought issues like random restarts and crashes. Apple claims it’s fixed these problems while adding a myriad of user interface refinements and a few new features, including Siri and Touch ID enhancements. If you want to update, you can do this right now. Simply go to the Software Update section on your device or connect it to iTunes on your computer.